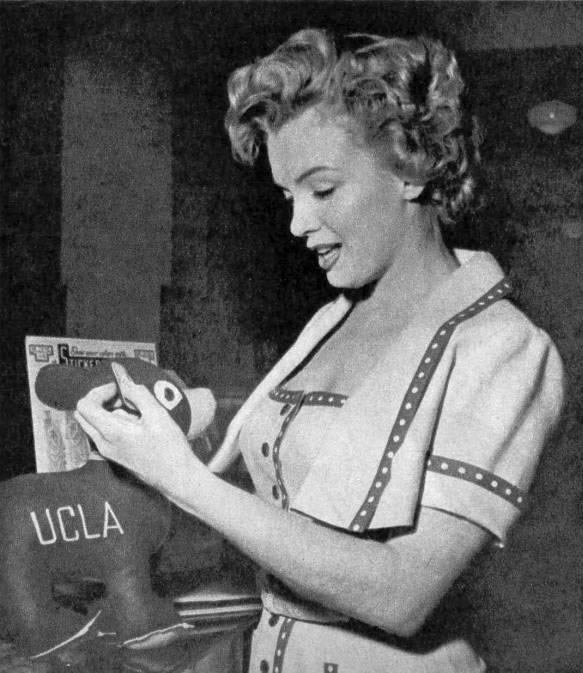 Photos show actress Marilyn Monroe as she visits UCLA in 1952. Note and update: That date is what the source of the photos – which yours truly can no longer recall – said. The year 1952 seems awfully early in her career for someone to have taken the photos. Her first major movie came out in 1953. Next Next post: And the good news is…?